Black Diamond have been making top end gear for climbing and skiing since 1957. Super simple, lightweight and cheap climbing harness that is really versatile and easy to use. Lightweight, compact and incredibly bright headlamp from Black Diamond. 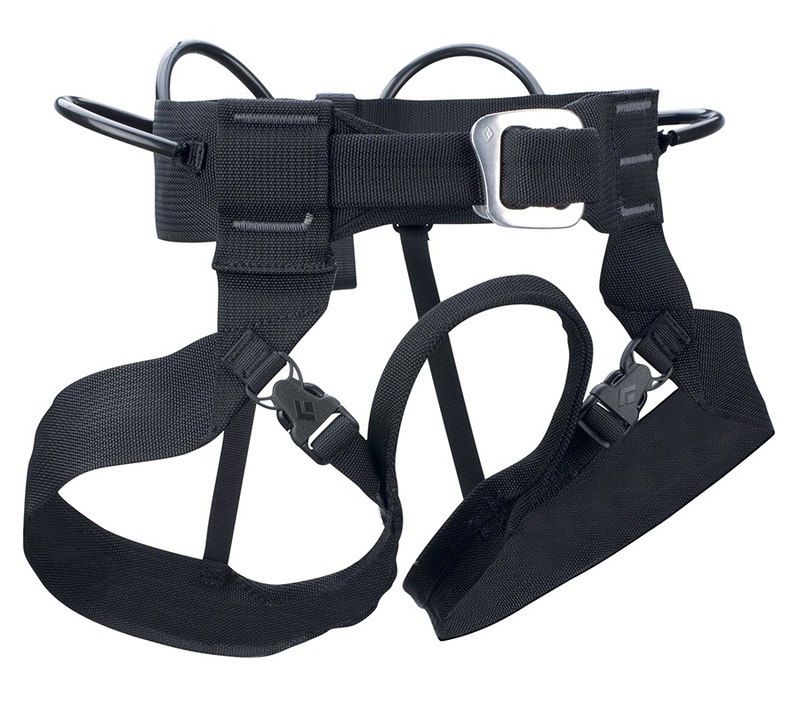 Ultralight, full-featured low-profile harness designed for skiing and mountaineering. The Beta Belt from Black Diamond; A reliable classic. The Rock Blitz 15 Alpine Backpack from Black Diamond is the ideal on-route, multi-pitch pack for no-fuss function. 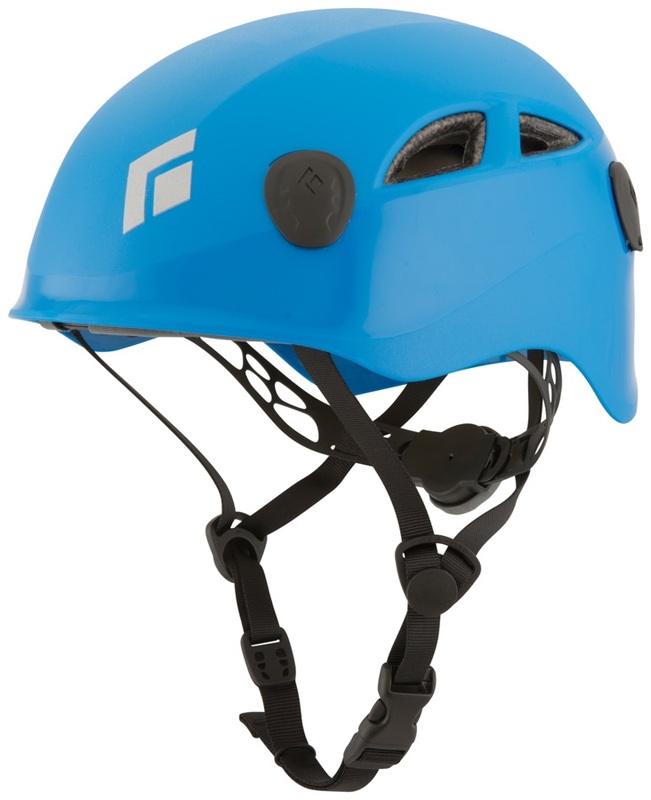 A tried-and-tested staple for any climber; The Half Dome Helmet from Black Diamond. Designed for climbers - by climbers, everyone knows that if you look good, you climb better. Designed and perfected for performance - When your project blots out the sun, crush in the shade with the Shadow from Black Diamond. Everything you need to start rock climbing! A Black Diamond Momentum harness, chalk bag and powdered chalk, ATC-XP belay device and large Rocklock screwgate carabiner. Black Diamond's Zone Climbing Shoes: Designed and perfected for performance, so that you can get in the zone. Designed and perfected for performance - so that you can Focus on your next big project. With all-around functionality, the Black Diamond Momentum is the perfect harness for female climbers looking for a user-friendly, time-saving design. The Black Diamond Women's CoEfficient Jacket is a climber favourite for its combination of lightweight, breathability and functional quick-drying finish. Set of six colour-coded Neutrino biners for lightweight, easy identification on your rack. The ultimate gear hauling solution rolled in to one climbing pack for sport climbers, boulderers and trad climbers alike. Black Diamonds adjustable light weight trekking pole with built in shock absorbing technology. Built for the long haul, no matter the season, the Distance Plus FLZ is adaptable and supportive, to make sure you're always ready to hit the trail. Protect your hands for belaying and via ferrata with this lightweight climbing glove. Protect your hands for belaying and via ferrata with even greater dexterity with this lightweight half-finger climbing glove. Versatile, women's fit, all-season workhorse of a climbing harness from Black Diamond. The Astro175; A lightweight & compact yet incredibly bright headlamp from Black Diamond. Lightweight, compact and versatile headlamp with high visibility strobe function from Black Diamond. Black Diamond's LV Zone Climbing Shoes: Designed and perfected for performance, so that you can get in the zone.